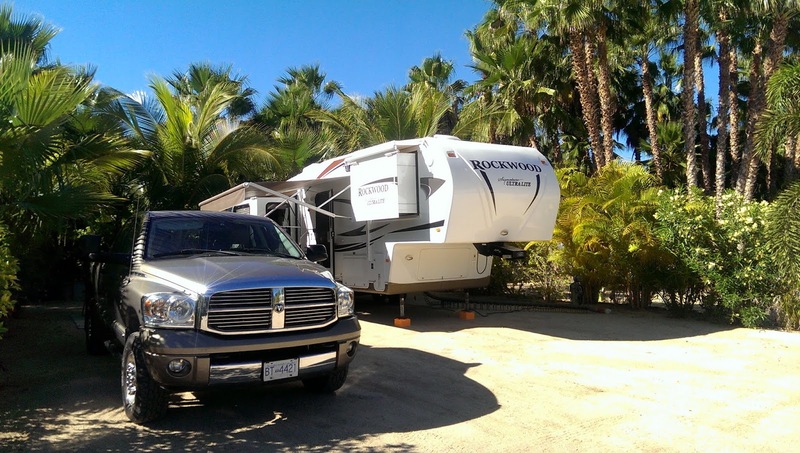 Camped at East Cape RV Park in Los Barriles. 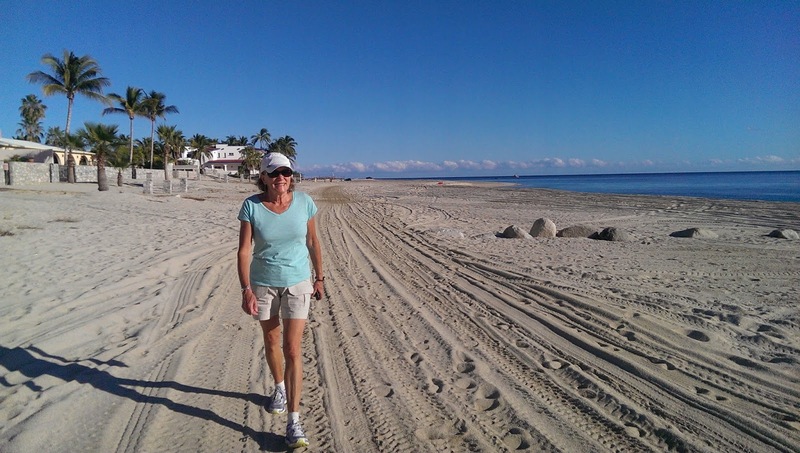 Los Barriles is a wonderful sleepy little town on the Sea of Cortez or Gulf of California. The town has a population of around 1200 people give or take a few. It is located about 100 km south of the capital La Paz and 65 km north of San Jose del Cabo. Both La Paz and San Jose has good airports. Los Barriles is known for its great fishing, and for wind and kite surfing. Actually Los Barriles is know as Baja's Windsurfing Capital. The westerly wind averages around 35-45 km/hr. Every year there is a big kite surfing, wind surfing and stand up paddle competition in town called "Lord of the Winds". Open mike at La Fogata. Susan and Catherine performing, just wonderful! Anders out for a walk in Los Barriles. Tons of people from all over the world descend into town during this competition. We worked as volunteers for the 2016 competition. So much fun and excitement. Many avid fishermen come to Los Barriles to fly fish for Marlin, Rooster fish, Tuna, Dorado and more. The town offers plenty of amenities with stores, delis, cafes, hotels, campgrounds and endless beaches. Every Wednesday night there is open mike at La Fogata Restaurant and the proceeds go to the local kids for continued education. School is paid for up to grade six, after that the parents have to pay. This money that is collected at open mike goes to the local families to help pay for education. A very worthy cause. We stayed at East Cape RV Resort right in town. This is a great and well run RV park with full hook-ups. The park has a lot of permanent people that come back every year, and if you choose you can participate in many functions. There is also a pickle ball court next door to the RV Park. Great fun! Here every Saturday morning the Farmers Market is on up till about 1pm or so. Come early for best selections of vegetables and other stuff. We are lucky to have some good long-time friends in Los Barriles. Lorne and Catherine built a beautiful home here just on the outskirt of town. We have spent some wonderful evenings at their place. Lorne and Catherine are the people that enticed us to come down and visit. Thanks you two. During our three months stay in Los Barriles we were introduced to so many people and made a ton of new friends like Susan and Brian. We also found the best massage therapist, Christine and also a fantastic Physio Therapist Dennis. Dennis and his wife are also fantastic two step dancers. Thanks for the lessons Dennis. We even took Spanish lessons. Just so much excitement and lots to do. 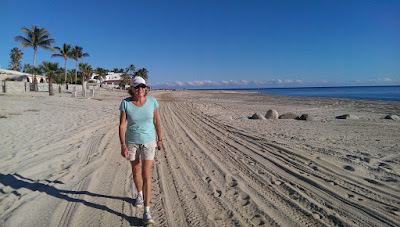 From Los Barriles it is easy to make day trips down to Los Cabos (San Jose del Cabo and Cabo San Lucas). Shopping is really good down here along the Corridor with many local stores including a Costco and Walmart. 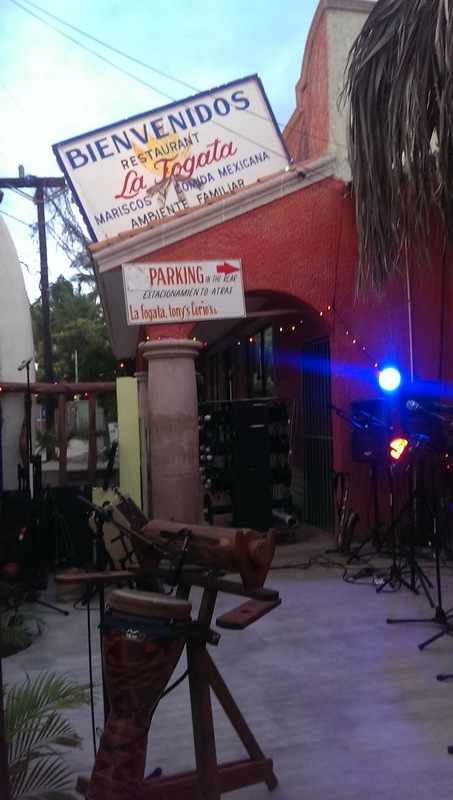 If you have not been in Los Barriles, Mexico, add it to your bucket list. It is a very safe and quaint little town. More pictures from Los Barriles.